Credit score is a big factor in most auto-lending decisions, both in terms of whether an application is approved and what rate may be offered. Your score is based in part upon the information contained in your credit reports, so check those reports for errors that might affect access to a loan and the best terms, and dispute them if necessary. Reading over the reports could also reveal areas of your credit profile you need to improve upon. Go to AnnualCreditReport.com to request a free copy of your reports from the major credit bureaus. Consider improving your credit score before you apply for financing. Fixing errors contained in a credit report can help but also try measures such as paying off overdue credit balances, and correcting any bad habits that were highlighted in your reports. A down payment can be a good thing for all parties involved in a loan and will be a requirement in many cases. Money up front will reduce your potential loan amount and financing costs while decreasing lending risks for the creditor. A trade-in may be used in addition to or in place of a down payment and offers similar benefits. Look up the trade-in value of your current vehicle at sources like NADA Guides, Edmunds and Kelley Blue Book so you can add it into the truck-buying equation and negotiate a fair price at the dealership. Use auto loan calculators to estimate what you may be able to afford as a total loan amount and monthly payment so you can stay within budget. Down payment and trade-in amounts will be useful here – if you have both just add them together and enter the figure into the down payment field. Adjusting down payment, loan term and APR will enable you to see how the loan amount and monthly payments change, and what might work best. Plan for any optional extras you may want to purchase and decide whether to make space for those within your loan amount. Whether you’re buying extra equipment to customize your truck, a service contract or GAP insurance, remember that these items will increase the total price tag. A co-borrower is a useful option to think about when you have bad credit, especially as trucks are generally more expensive than cars. Adding a creditworthy co-applicant means you’re applying for a joint auto loan in which two sets of income can be taken into account by the lender. That can increase your chances of approval and, if approved, may get you a larger loan amount and better rate. With truck financing preapproved, you’re free to enjoy the best part – choosing your vehicle. If approved by RoadLoans, visit the preferred dealership listed in your loan documents or use our dealer locator to find another. As a leading lender, we have relationships with 14,000 auto dealerships across the country that are able to show customers select vehicles meeting our standards for age, mileage and financing. Our streamlined process means RoadLoans customers can apply and get on the road the same day. They’re also welcome take their time if they wish; approvals are valid or 30 days with no obligations. 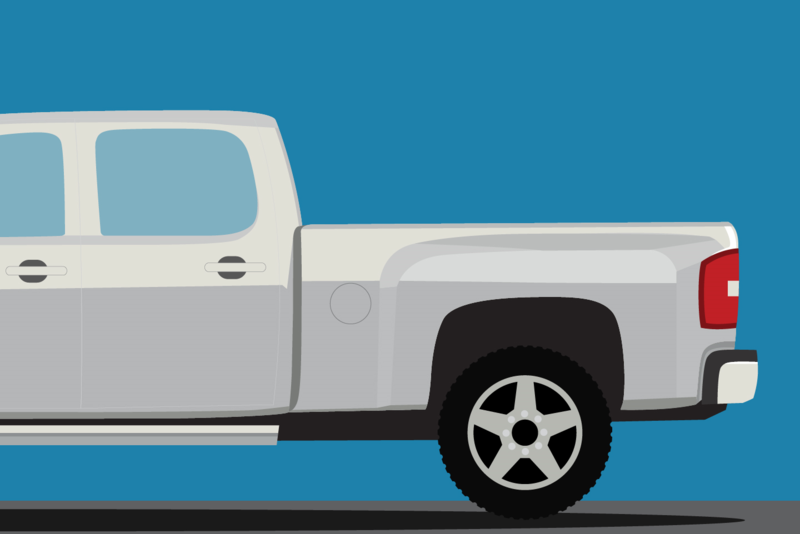 The process for buying a truck with bad credit is simple when you’re armed with the right knowledge, and part of that is choosing the right lender. RoadLoans accepts applications from consumers with all types of credit, including those who have been through repossession or bankruptcy, and has helped thousands of customers into the driver’s seat of their chosen truck, car or SUV. † RoadLoans does not provide financing for commercial vehicles.